Social Media for Beauty & Consumer Products. Building brands, and increasing sales, for beauty (especially hair care) products through the use of Social Media programs requires a special set of skills. Our team knows exactly how to increase awareness and followers. From Facebook to Instagram to Pinterest and more, we establish goals with our clients and implement specific strategies and tactics to achieve them. Let us show you what great Social Media work can do for your brand. FACT: The average American spends just over two hours per day on social media. Every second, 11 new people start to use social media. While this growth offers unprecedented potential for reaching an audience, the dynamic evolution of social media constantly challenges us to keep up. Some may find it overwhelming. Not us. We’ve been keeping pace with the media for over 30 years, especially in social media for hair products and beauty supplies. 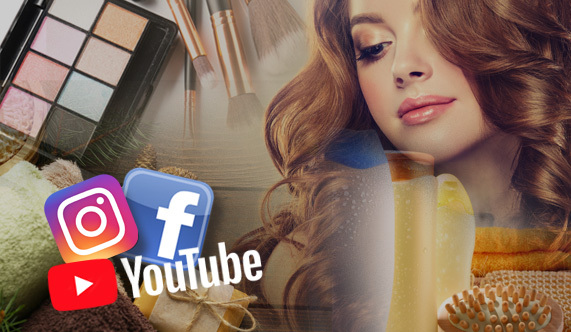 CGT Marketing has a proven track-record for implementing impactful beauty supplies social media marketing programs. For example, we’ve had exceptional success in promoting hair care products. Today’s beauty product audience is social media savvy, regularly exploring the Internet to find style demonstrations, beauty secrets, and new products. We know how to engage your consumers and keep conversations going on product-specific blogs. We know how to capture your audience and sustain their interest. Using social media platforms such as YouTube, Instagram, Snapchat, Facebook, and Twitter, we can implement the most effective platforms for your demographic and budget. Let us map out a plan for you that will engage your target audience, promote your product, and measure your success. Rely on CGT Marketing to manage your beauty supplies social media marketing needs by designing a strategic plan that will grow your online community while building product trust and brand loyalty. Ready To See How Social Media Can Grow Your Company?